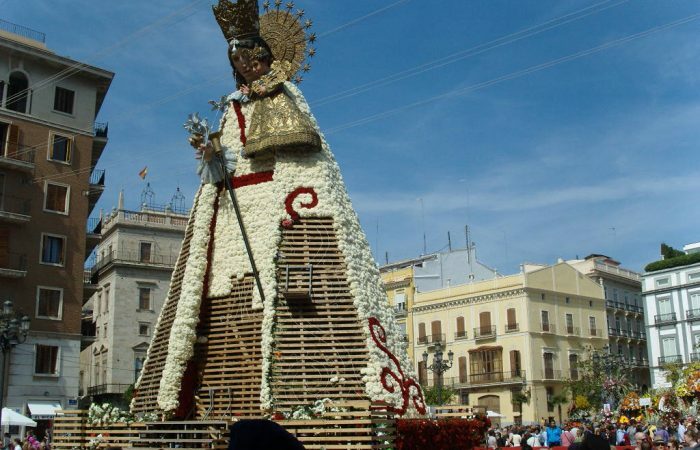 Imagine standing next to loud firecrackers in a typically Spanish setting. Experience intense bangs, flashes, smoke. Enjoy being surrounded by enthusiastic spectators who cheer to a crescendo of energy. That’s Fallas. 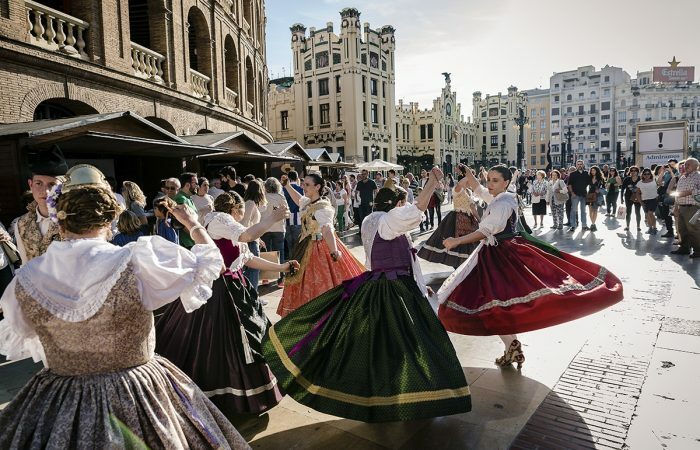 Valencia celebrates Fallas in a long tradition said to reach back to the middle ages. Long ago, carpenters used candles to extend their working day during the winter. These were stood or hung on wooden planks. When spring approached, daylight hours became longer thus making the wood unnecessary. It was therefore burned in the streets around the time of the equinox. A tradition was born. 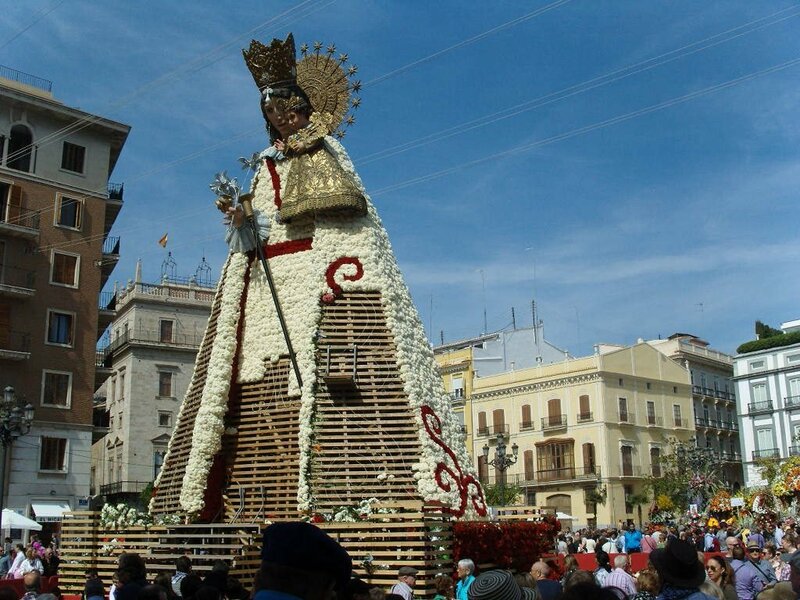 The Catholic Church later influenced the date to bring it in alignment with the festival of Saint Joseph. Over time, clothes were added to the piles of wood, which then appeared more like figures. Artistic genius later influenced their appearance as the structures became more creative. New materials such as cardboard were integrated to improve the appearance of the Ninots. Oneupmanship was now the name of the game. Today, artistic, satirical and critical scenes are brought to life through these creations. The result is phenomenal. Small images of children stand alongside monumental structures many metres high. Pretty pastel colours are easy on the eye. 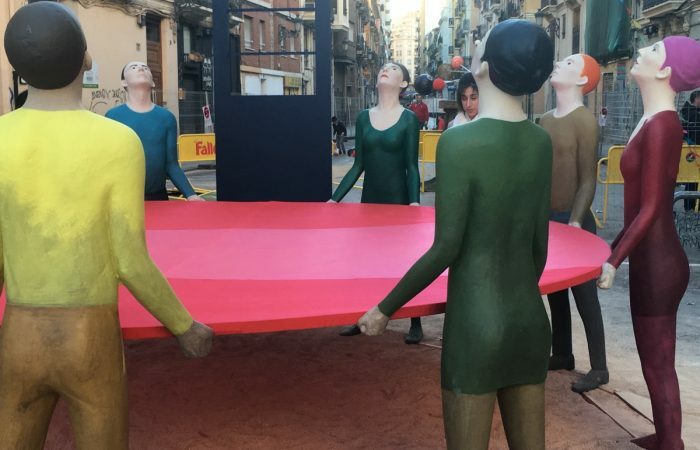 Today, some 800 statues are placed all across Valencia during March. 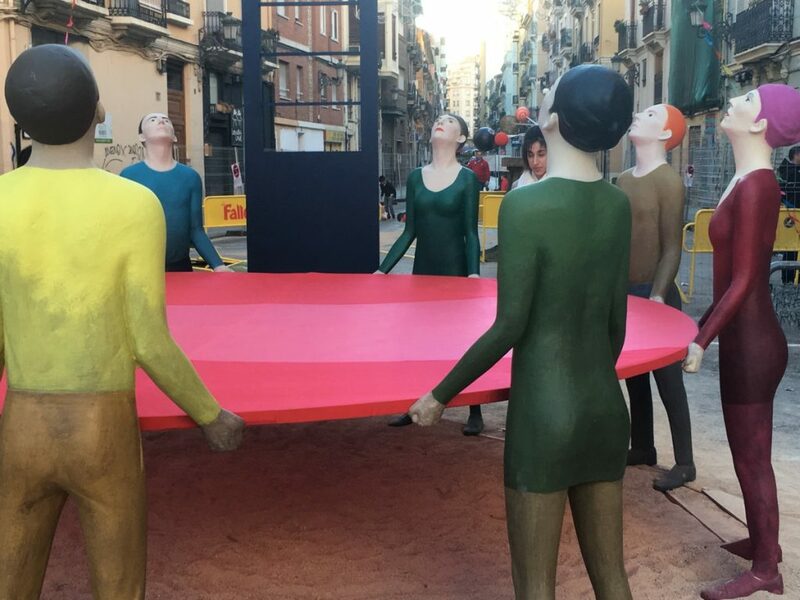 Streets become blocked all over the city as marquees are erected. A huge celebration ensues. 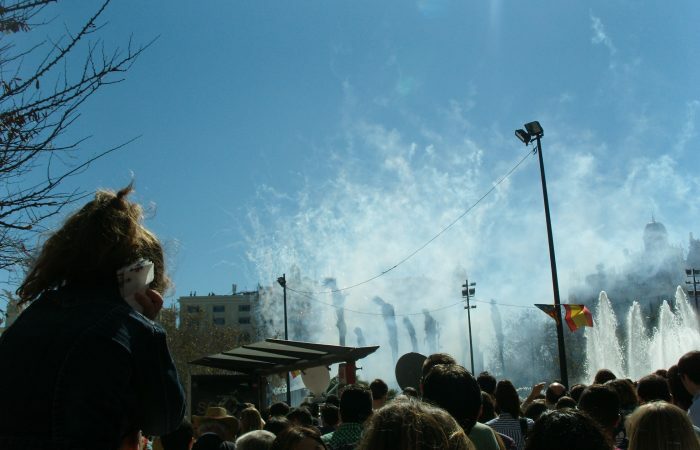 The mascletas, as the firecrackers are known, are a key element of this annual festival of entertainment. Huge displays are held during early afternoon on each and every day at the city plaza. Thousands of spectators rush to view the extravaganza, to then disappear almost as quickly. A sight to behold. Magnificent pyrotechnic displays are held on various occasions too. The fireworks do not end there, since young children, as well as adults, enjoy the so-called despertàs. 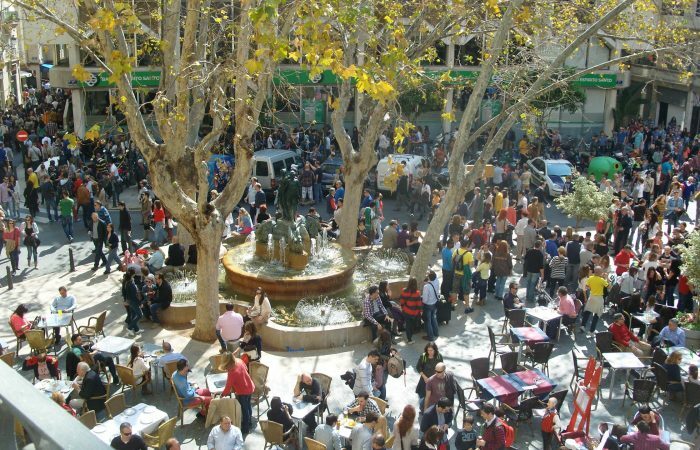 They throw small crackers known as tró de bac that explode upon hitting the ground. 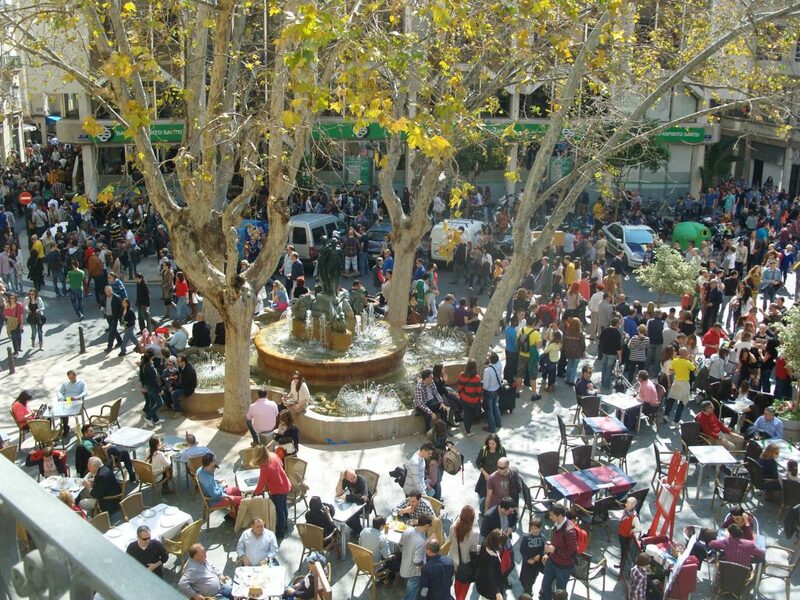 This is also a long standing tradition that adds to noise levels on the streets during the Fallas. 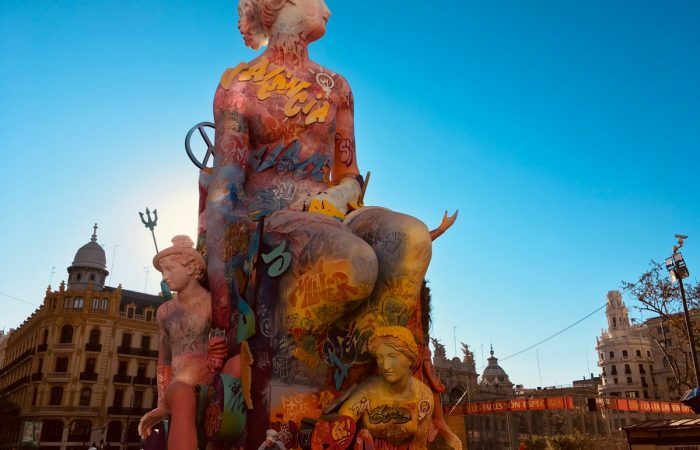 The Fallas Crema symbolises the true story that celebrates an ancient pagan tradition. It is during the last night of celebrations. It follows a Parade of Fire held earlier in the day. This procession is vibrant, colourful and noisy. Elements include floats, giant contraptions, costumes, rockets, gunpowder, performances and music. The true finale commences way beyond the arrival of darkness when the ninots are burned. 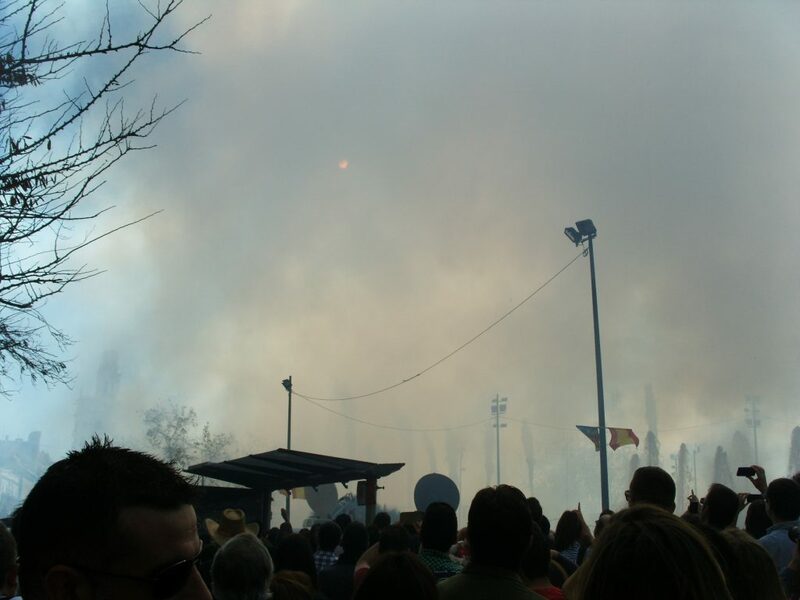 First, all the ninots infantil go up in flames. 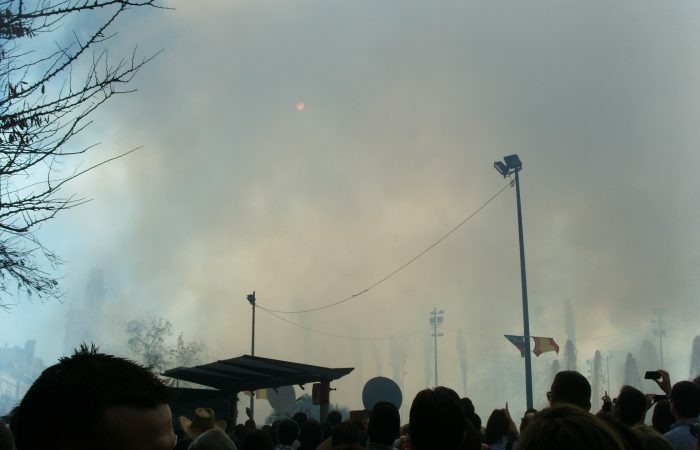 Then the larger ninots are ignited, causing further smoke to waft through the city. The prize-winners follow. 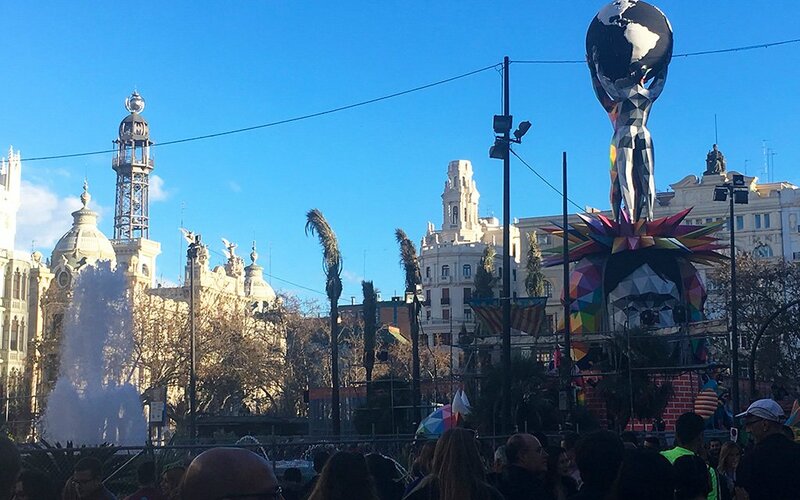 Lastly, the largest, the Falla Municipal, is finally raised to the ground in front of city hall. It is an impressive sight. 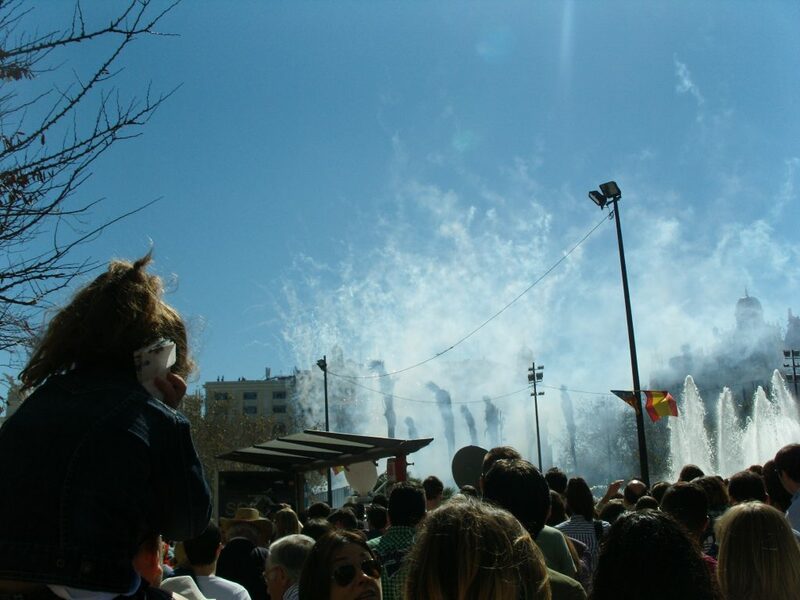 During Fallas, a magnitude lights suspended high above many streets transform Valencia. The colourful array of elements depict flowers, figures and symbols. They hang in the city centre and several neighbourhoods thus brightening up the dark, late winter evenings. 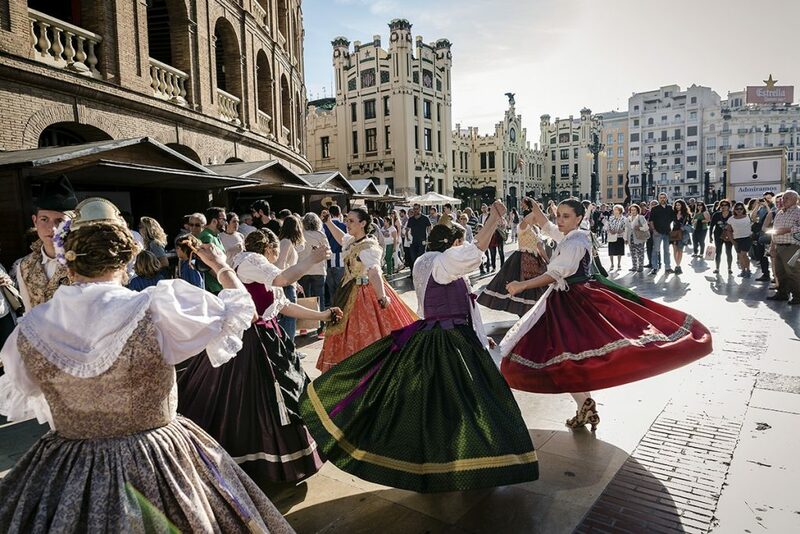 UNESCO recognised and listed the Fallas festival in 2016 as an Intangible Cultural Heritage. Daily activities can be viewed in the events calendar. 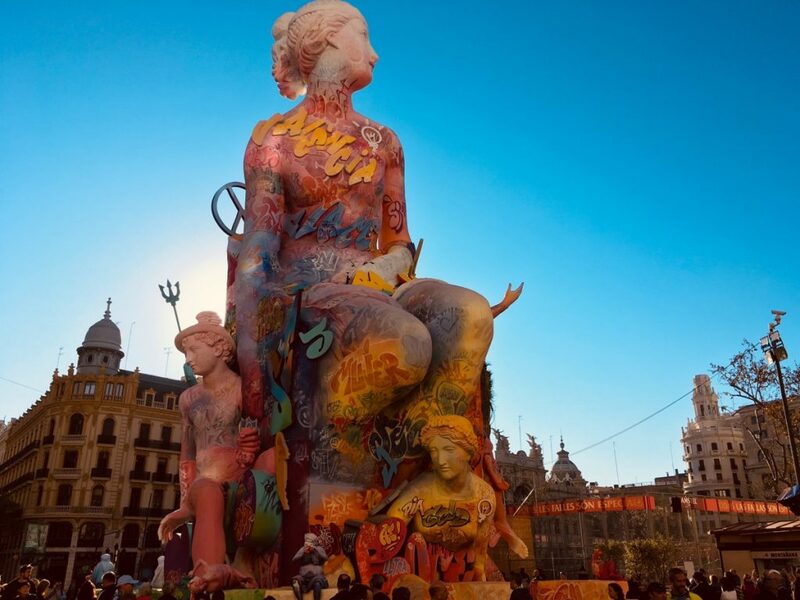 The Fallas involve weeks of activities. Revelry, fun, costumes, music, parades, daily incendiary displays in front of city hall and the burning of hundreds of statues in the streets. View the events calendar for more. The Oceanografic in Valencia excites with surprising insights. 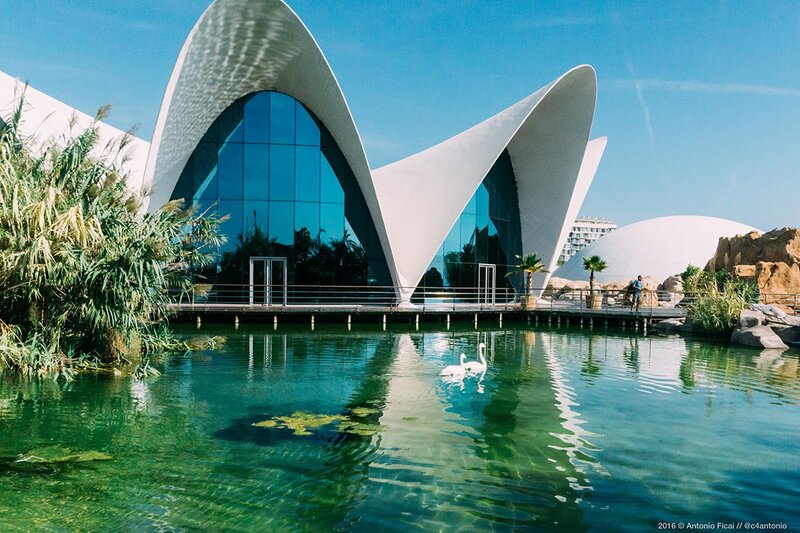 Situated in the spectacular surroundings of the City of Arts and Sciences it is the largest aquarium in Europe. Their turtle conservation project is heartwarming and inspiring.